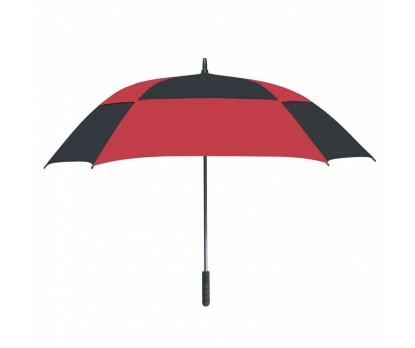 Personalized red & black 60” arc square umbrellas are being regularly handed out as a sales driving token before the start of rains. People are happier to receive and use this umbrella because it saves them from winds and offers shelter from harsh weather situations. 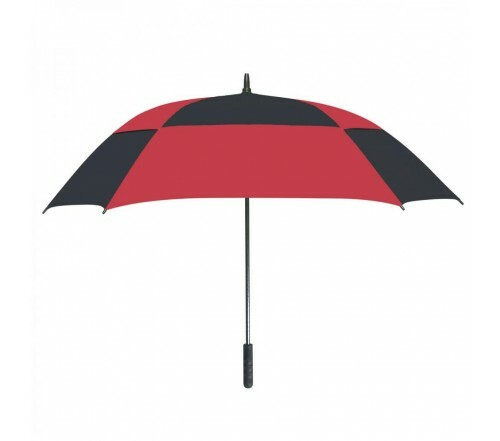 Features - fiberglass shafts, anti-wind square red & black 60” arc canopy to resist inversion, and fiberglass ribs with rubber handle and nylon/mesh case with elastic bungee cord-lock closure. Dimensions – 60” arc closes to 38”. Available Colors : Black, Royal Blue/White, Red/Black, White/Black, Lime Green/Gray or Orange/Gray.